Russian scientists were able to successfully test-fire the nation’s very own railgun – a weapon that relies on electromagnetic forces rather than explosive propellant to launch projectiles at incredibly high speed. 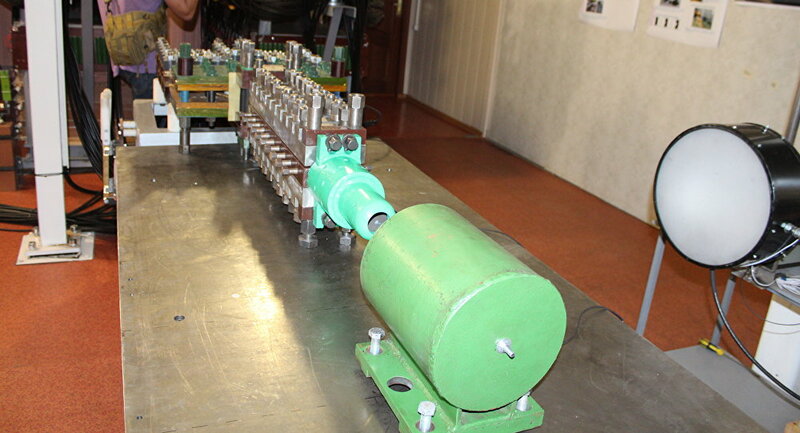 During the test, conducted by scientists of the Russian Academy of Sciences’ Joint Institute for High Temperatures, the railgun fired a 15-gram plastic pellet which hit a solid aluminum target at a speed of approximately 3 kilometers per second, leaving a huge dent at the point of impact. It should be noted that this is far from the first test of this type of weapon in Russia, as the first test-fire of a Russian railgun was conducted in July. Railguns employ electromagnetic conductors instead of more conventional propellant like gunpowder or explosives to launch projectiles at incredibly high speed and inflicting major damage on impact. Scientists believe that the railgun can become not just a powerful weapon for the Russian military but also can theoretically be used to shoot down dangerous space objects on a collision course with Earth.